Mega Man 10 - Again! One Night Only! freshtalk wrote: ↑ Be sure to pick a boy named Grey next time just for tiny continuity's sake. It's a small thing ultimately. 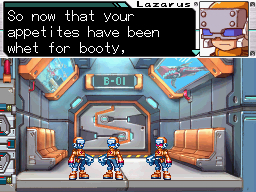 ZX is great, and it along with Star Force might have been one of my big gates into stuff like fanfiction and making OCs back then. It's interesting how much overlap the ZX games have with Star Force. 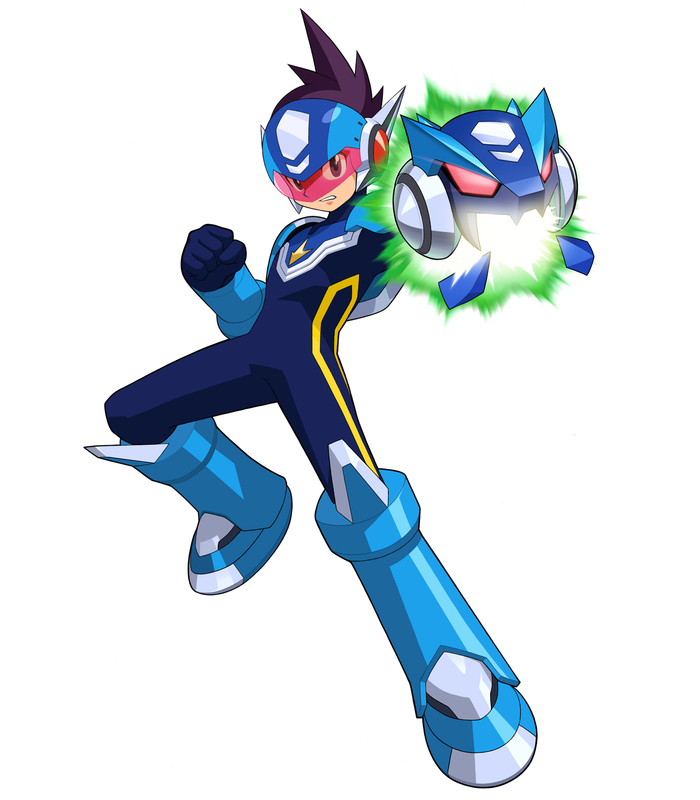 I think I mentioned this earlier in the thread when ZX started, but they were doing 2 Mega Man series at the same time with very similar concepts of the Mega Man being a regular kid (I actually don't know how old Aile/boy Aile [Maile?] are supposed to be) that merges with some other entity that makes them into a superhero. Megaman Zed is the story of a metal swordman with sentience that befriends a human girl and eventually a romantic relationship is almost implied. They live with eachother in a place that used to be safe, but now has been invaded by enemies, so they have to stay hidden. The human girl never seems afraid of Zed. PS: Sorry if any of that is spoilers. Paragraph wrote: ↑ I agree with your assessment that the level design just isn't all there, raocow. Most of the areas are just corridors with some flavor of enemy in the way, sometimes there's stage hazards, but never anything really special. The Zero series is way better at having varied, interesting levels with challenging and inventive enemy placement, and that's why I prefer it. What disappoints me the most about ZX is how utterly regressive the plot is. The Zero series was very well-crafted in that regard, even as far as each individual boss having interesting motivations and personality. And now we're back to vague anime spiels about EVOLUTION!! and that's just meaningless, generic garbage. Stink Terios wrote: ↑ What disappoints me the most about ZX is how utterly regressive the plot is. The Zero series was very well-crafted in that regard, even as far as each individual boss having interesting motivations and personality. That evolution stuff has been in the games as far back as Zero 2. Go back and count how many times the phrase "the new world" popped up in those or those that just talked about Elpizo & Weil's glorious plans. They were still pawns even if they had personalities previously. It's always been the same thing with the bots being brainwashed or thinking they were in the right, same as always. I think that's a pretty uncharitable take. The plot in Zero games was largely about fighting against an oppressive government that routinely killed people to maintain power. The plot in ZX is about fighting against an oppressive corporation that routinely kills people to acquire power. Aside from plot details like the world of ZX having solved the energy crisis and robo-racism, the biggest difference between the two is largely in presentation. In the Zero games people talked about how the citizens were complacent in Neo Arcadia, but you never actually meet any (barring some refugees in Z4). In ZX, you actually spend time walking around an inhabited city and speaking with people. Several of them tell you how safe the Bad Snake Man has made the city. A little kid tells you how his mom is pressuring him to grow up to become a suit in the local Villainous Evil Company. It might be generic, but it ain't any more meaningless than Zero was. The fact that Serpent couches his efforts to seize power as him "evolving" from a powerless dude to a ruling "Megaman" doesn't change that. Dude wants to be in charge, like Weil and Copy X before him. I don't know what is up with the sound, but maybe try to look for a fix? The entire game is basically voice acted so there's going to be a lot of scratchiness at this rate. With the Pause Menu now telling you all of your moves for each form, i'm now out of a job. Hooray! I got some real bad news. Grey's English voice actor was in X7. He was X's voice actor, but also the voice actor for a certain...OTHER reploid. 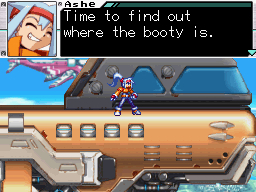 Also, one important thing you miss in Ashe's storyline at this point is her insatiable quest for booty. Ashan wrote: ↑ It's interesting how much overlap the ZX games have with Star Force. I think I mentioned this earlier in the thread when ZX started, but they were doing 2 Mega Man series at the same time with very similar concepts of the Mega Man being a regular kid (I actually don't know how old Aile/boy Aile [Maile?] are supposed to be) that merges with some other entity that makes them into a superhero. I like them both a lot, and I'm sure the rehular person gaining superpowers is a reason why lotta people at a specific age latch onto them. It is pretty amusing and also cool how both Nintendo DS Mega Man games just did their own take on Kamen Rider. The Japanese version of the first ZX did have voice acting alongside the text, but the North American version (I don't know about the other versions) took out the voice acting because it might be confusing to have Japanese voiceovers during English text boxes. English voiceovers weren't prepared for this game. Now with ZX Advent we do have English dub. And I'm just expecting it to be jarring when the first game had Japanese voices and the second game has English voices, particularly for shared characters, with different voice actors of course. X games did that at times as well, I remember X6/X7 doing that, but those two had quite contrasting presentations so you can treat them as completely different things, whereas Advent does feel like a direct sequel. Man, evil research labs have some incredible tunes playing on their PA systems. Regardless, I remember enjoying the voicework in this game back in the day. It's not really good, but it's far from the worst I've heard and it has a goofy charm to it. That being said, this and the first ZX were my first experiences with this franchise's efforts at voice acting so maybe I'm a bit nostalgic for the novelty it had for me at the time. 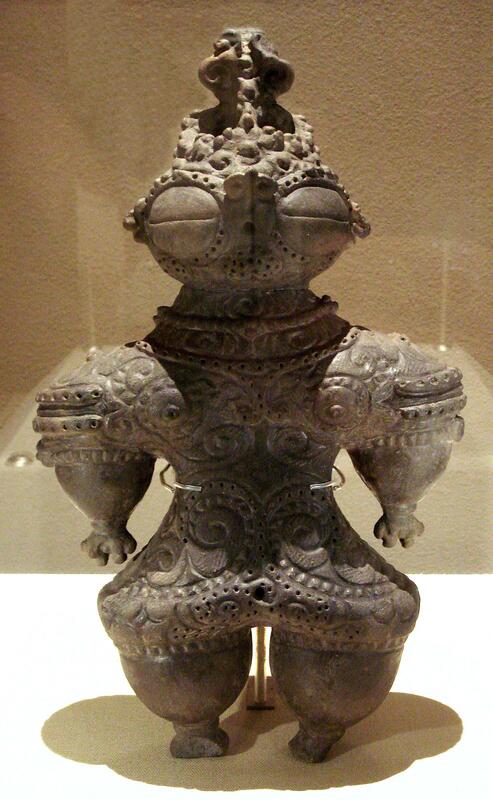 it's a giant dogu robot! 100% recognized this as soon as he started talking. He sounds like Justin Roiland doing the Morty voice except not intentionally making it sound like a pathetic whiny child, it's just happening to come out like that. 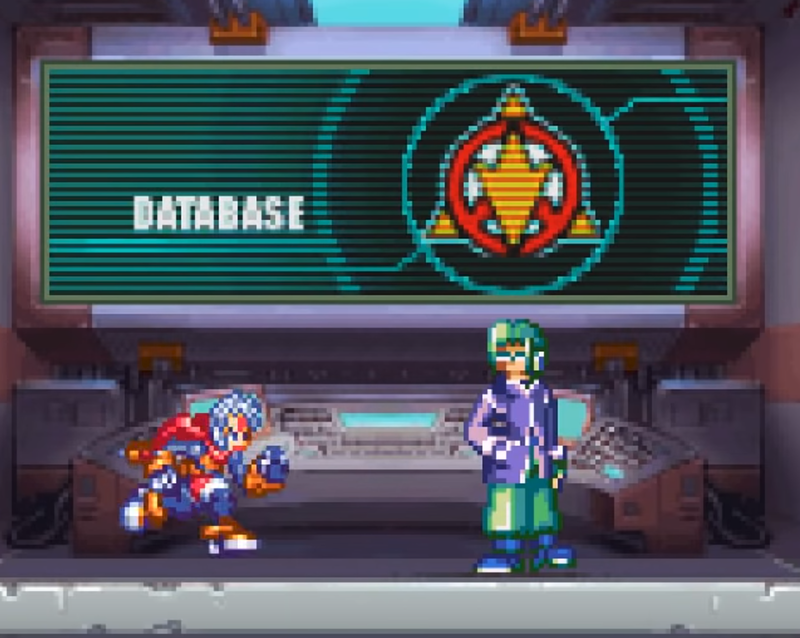 Also that icon on the monitor in the database room looks to be a Star Force reference. It's the insignia on Mega Man's chest in that series, I think it's supposed to be a constellation. Unless that's like a regular occurring symbol of whatever this group is. They look pretty similar either way, and both series were releasing games at the same time. What happened to the aspect ratio? Did the resolution get misconfigured when switching games or is it slightly different naturally and the emulator kept ZX's resolution? Anyway, while I didn't mind the first time I played the game the audio quality is just... so jarring. It's amazing how we get MM8/X4 quality voice acting this late in the franchise. It's even slightly worse in this game, it sounds like it was recorded out of a dumpster. The DS's sound chip just isn't very good, is a big part of it. Stink Terios wrote: ↑ is it slightly different naturally and the emulator kept ZX's resolution? How could 2 DS games have different aspect ratios or resolutions? They're made for the same hardware. Both the SNES and PSX can have different resolutions between games, it's not too much of a stretch to think this might apply to the DS for sone god—forsaken reason.